My bad. Kinda forgot about this. Ok, it is on the agenda- bear with me. Almost a year on, I can safely assume this is dead. Imo campaigns get boring once you've conquered about a score of provinces. Certainly there may be plenty more decent challenges ahead (which some people like), but I just find my will to keep conquering declines more and more the further my imperium extends. Big empires are rubbish. Small kingdoms are the most fun. In some senses, I'd agree, but I do like it when I have a decently sized empire with at least good troops in my main army and the ability to solidify my conquests behind it. Ye both are correct and have good points. I know this, because I feel the same way. It is tremendous fun to scratch out a viable realm by conquest. That fun fades as the strength builds, and once stable, there comes a point when nothing on the map can threaten my realm. On the other hand, I also find tremendous fun in throwing Berserkers and Gothic Cavalry at a foe and watching the brown and/or yellow stains form in their trousers before we chase their fleeing remnants across the field. (To be brutally honest, I rarely use those two units- Noble Cavalry and Vikings work just as well and are easier to retrain). I also get pissed off when attacked and hold a grudge. This is why whenever I start a campaign, I end up conquering the map every godsdamned time. Once it took eighty turns before the fools in Seleucia- the last unconquered province, felt themselves strong enough for suicide and attacked my city of Susa. However, if the sole remaining factions are mine and my protectorate, I count that as a complete conquest as well. Once I had three protectorates. There is a picture floating about somewhere about it. Personally, I get bored after a while just because I end up spending so much more of my time upgrading my cities and trying to stop them from rebelling than I do on actual conquest. I never get bored with the wars or battles or not having anyone strong enough to really threaten me (though I do get a bit annoyed by how hard it is to make peace, and how I always end up at war with every other country on the map at the same time, but that's not just a late-game thing). I just hate how cities get so hard to control by the late game and I end up with all my money going toward trying to garrison and upgrade my cities (constantly expanding temples and Colosseums and such) and not enough available to pay for armies to march around the world, and also how I never seem to have enough governors and generals to go around. Managing an empire is a lot more of a pain than making one. For this reason, despite playing RTW since 2011, i've only ever actually finished one campaign, as the Julii. Aside from that one time, I always just get bored and start a new game after i've conquered about half the map. 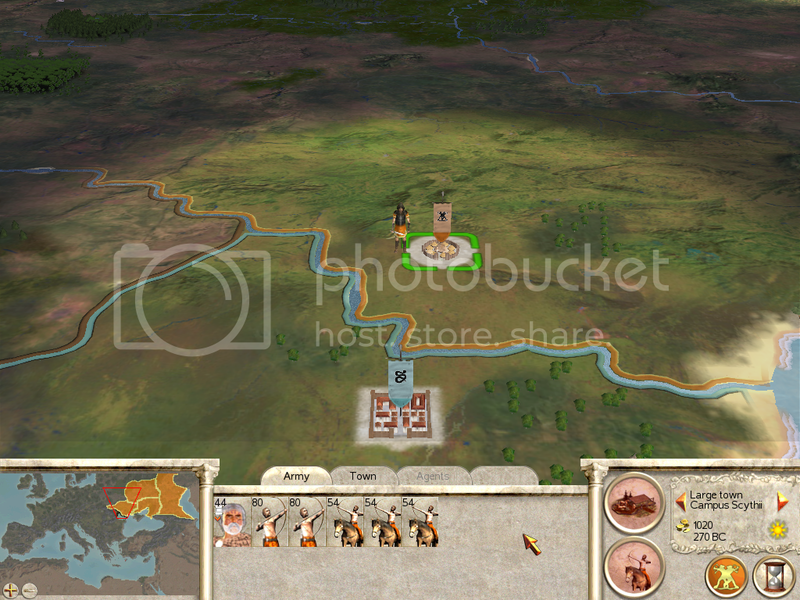 Though I do have a Gallic campaign i'm playing right now that I hope to take to full victory. But wouldn't it be possible to revive the Swap Game "tradition" by using very different rules than those we are accustomed to? 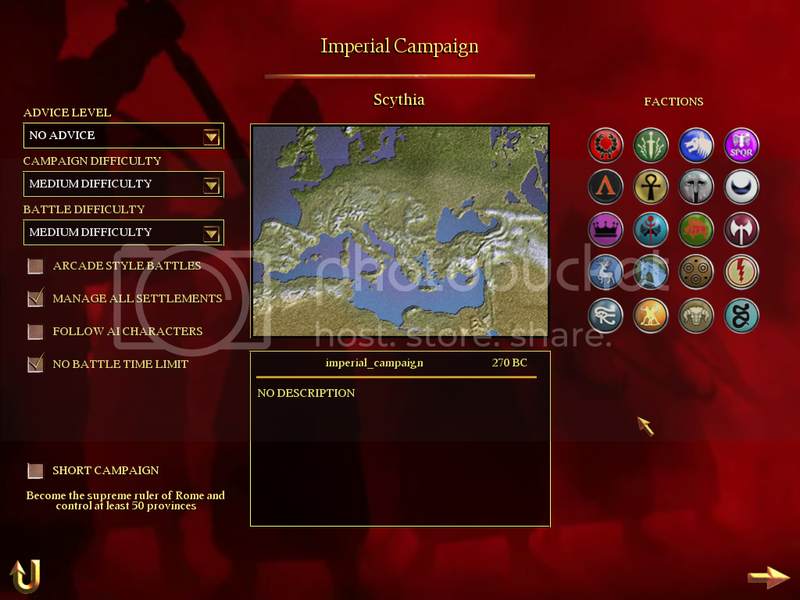 I recall in one of my Carthage AARs, I had this rule where I wouldn't conquer any city but rather exterminate them. Maybe we could make something similar, lay down a set of rules which the player must follow so that the replayability value's higher than in a regular Swap Game. I had this rule where I wouldn't conquer any city but rather exterminate them. Basically, instead of conquering cities for increasing my funding I would instead exterminate them. Like, instead of conquering Rome, I would exterminate it, leave it to rebuild for a while then exterminate it again, something similar to that. The idea's that we could have a set of rules that limit player freedom, but increase replayability and the fun. If I recall, the Swap game idea died when we ran out of people capable of carrying it on. Rules are set by whoever want to play, and can vary each game. They can also vary withoin a round if all agree to the change. That was unfortunately not the issue. Great idea, though. I do like reducing HUGE cities to small villages. It helps with fighting plague, keeps the expenses of a garrison low, and can still churn out pretty good troopies. I'm currently busy playing Fallout and the Witcher but I'm going to see if I can organise something later on this week, if I can set up a new thread and think of more rules which would make the Swap much more interesting.